"We just want to thank you and Marisol for all you have done to make this one of the "best" and we mean it, vacation weeks all six of us..."
"Hi, Katharine. We are back from our fabulous trip and just wanted to say how nice it was to meet you while we were there. 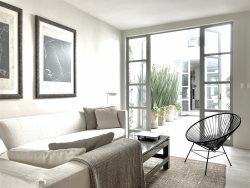 Everything ..."
Premier San Miguel House Rental and Concierge has redefined the rental market in San Miguel and created a business that reflects a refinement of experience and meets the needs of an increasingly sophisticated, international clientele who seek a hotel alternative. 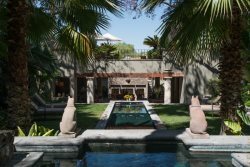 Firmly ensconced and highly regarded within the San Miguel community, our knowledge, deep connection, and extensive network of resources will be your passport to an extraordinary stay in San Miguel. Only a private residence offers the level of discretion that many clients seek in exceptional properties without forsaking “hotel level” amenities and convenience. Premier’s Concierge Service allows you to customizes your stay and will accommodate the specific needs of even the most discriminating taste. 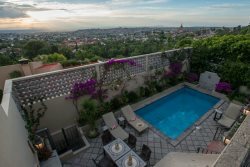 San Miguel de Allende is one of Mexico's most popular travel destinations. The picturesque city with perfect weather, and an amazing variety of activities offers travelers a rich cultural experience, and we can help you!! 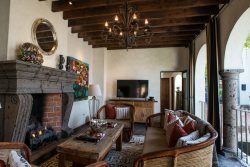 We invite you to explore our vacation properties in San Miguel de Allende, which range from a cozy 2 bedroom house to luxurious and spacious 11 bedroom Villas. Some have pools, and other unique amenities. Contact us today on our U.S. phone 646-536-7634 or our local Mexican land line 415 154 9460 for more information. Please note that all rental rates are taxed 6%. Also, during the holidays there is a 20% surcharge (Christmas, New Year's, and Easter Week) is added to the rental rate.